"I have complete confidence in how everything was explained." "Dr. Witkes and Dr. Carvo, my PCP are both excellent." "Dr. Witkes always takes time to discuss my medical conditions and his concerns." "dr witkes was thorough, kind, and trustworthy." 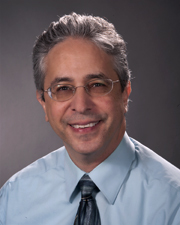 "Dr Witkes is a professional who shares his knowledge with his patients. He may not always like my crazy questions however he takes the time to answer them." "Dr. Witkes was very easy to understand. Explained my medication thoroughly." "dr. wilkes is a very calm and in control physician." "Everybody was very caring and very attentive to me." "Dr. Witkes always has been professional and friendly. He has a genuine concern for my well being." "Been a patient of Dr. Witkes for 10+ years and look forward to my visits as I know he genuinely cares!" "Never get rushed out and answers all questions." "First time with this doctor. Do not know him well enough to recommend." "Dr. Witkes makes me feel like I am not just an insurance claim. I feel that he cares about me as a person." "Dr. Witkes cared for my father for many years and I would not consider any other Doctor for myself. I have recommended him to many people. My husband is also his patient." "Dr. Witkes took time to answer all our questions and made us feel at ease." "dr explained everything that could be wrong and what my treatment should be. Took his time with me no rushing with exam." "I have recommended him to my domestic partner, currently using him. " "He explained my carotid artery test very good." "I would recommend the office"
"Very satisfied for many years that he has been taking care of my health." "My first time meeting this Doctor." "Was good clinical knowledge and is very personable." "I trust Dr. Witkes with my life. I admire and respect him more doctors should be as professional as he is." "Couldn't ask for better care or attention." "All around good people from beginning to end"
"Wish all my doctors were as good." "Superior cardiac care & treatment." "Dr. Witkes is an excellent dr."
"I have been seeing Dr. Witkes for 15 years or more and he was always courteous and through his care for me." "Dr. Witkes is wonderful & office & staff is great." "Always concerned about my knowledge of what treatment they are giving me." "Never a problem. Always willing to help." "My doctor for 15 years. He is a good one!" "I'm very comfortable with Dr. Witkes I think I made a good choice picking him from a list of choices!!" "Dr. Witkes has been my heart doctor for many years. He is terrific - wouldn't change him." "The MD for the most part is very good, but at times he has a condescending comment/tone of voice." "Dr. Wilkis is very caring and always listens to your concerns."